Right now, 70 percent of our Earth is covered in water. That leaves only 30 percent for us to live on, which looks like a lot on a map, but isn’t actually that much. Scientists estimate that in a few decades the Earth’s surface that is above water is going to be a lot less. Thanks to climate change, the water levels are expected to rise about five to six feet! That means cities like New York and Los Angeles that border bodies of water will probably end up flooded, leaving millions of people homeless. So, many companies and scientists are looking for alternatives, including building entire cities under water. Japanese company Shimz has already drawn up plans and images for what their underwater city, called the Underwater Spiral, will be like. 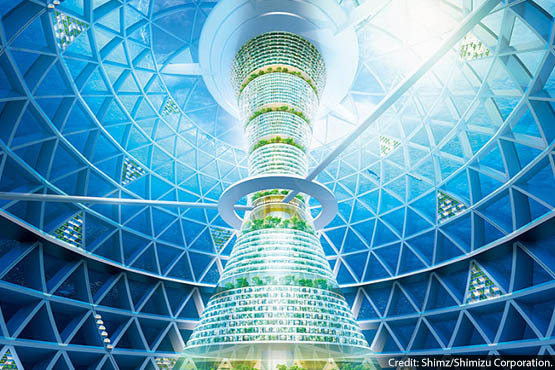 Their idea is to build a giant sphere that floats under water and contains an inner spiral that connects all the homes and businesses. These giant floating spheres would be able to house thousands of people, and would have hotels, high-quality fisheries and air conditioning! Shimz believes that these underwater cities would be even better for you than the ones we currently have, because of their higher oxygen content, impossibility of earthquakes and typhoons and lack of pollution. I think its a good idea but it would need alot of work to make it a naturel thing! I think it can be very cool but if any of the people that stay in there they should think about the possibilities of what could go wrong if one person make the tiniest mistake everything could go wrong and not to be a negative nancy but how would you bring the food down without it being soggy and that’d be less of land being explored and houses could be abandoned tsunamis could happen and did they think of sharks? You’d need some thick metal to keep the place from ya know floating if you want to breath underwater find some way to get gills i don’t think its the next big thing because so many things could go wrong and lots of peoples lives could be at risk the sea creatures down below might have more space than us but what about now we are invading space sea creatures have lives as important as ours whether you think so or not and not to make this comment rude or negative its just sometimes i think with my heart not with my brain and if any reads this comment and agrees spread the word save the fish save the fish save the fish!!! The Underwater cities program is a very intellectual idea. The only problem with that we haven’t explored much of the ocean yet, so there may be a problem that we do not know of yet. Also, the deeper you go into the ocean, the more pressure there is. So that means that we need to find a material that is strong, does not rust, and does not float. Even though there are some faults, I believe we can do this!!! That would be so cool to live underwater. This would be a good to help the world from being over populated. After this they are going to make a bio dome on the moon. i agree with you completely, but no need for name calling. Yes because it is nice to be underwater and cool to live there. I think it would also be cool but what would happen if there was a big crack in it. Objection! Mars is not safer than under water. I don’t see how anyone would do this anyway so it’s a moot point. WOW Underwater cities mean we can explore the depts. of the unknown and see all the aqua animals of the sea!!! Underwater cities could mean that we could expand even more. Plus, the views would be awesome. I think underwater cities will be great !dive dive dive ! I think this is a great idea why wait 15 years when you can have it know.